Born in 1969, Jeong Jae-Eun studied film at Korean National University of Arts. After making many short films, she made her feature debut with [Take Care of My Cat]. 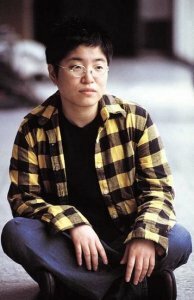 Her short works include [Coming of Age Ceremony], [After School], [Yu-jin' s Secret Codes] and [Girl's Night-Out]. [Take Care of My Cat](2001) was invited to New Currents of PIFF and earned acclaim of critics. [Photo] Poster Released for the Upcoming Korean "Drama Stage - Push and Out of Prison"
[Videos] Trailers and Highlight Videos Added for the Upcoming Korean "Drama Stage - Push and Out of Prison"